Good News: Trump Fires HR McMaster! Bad news: Trump hires John Bolton to replace him! President Donald Trump will replace National Security Advisor H.R. McMaster with John Bolton on April 9, the White House announced late Thursday. Bolton, a former U.S. Ambassador to the United Nations, is a hawkish conservative with a pugnacious streak – and a frequent guest on the Fox News Channel. He is also a fierce opponent of the Obama-era Iran nuclear deal. 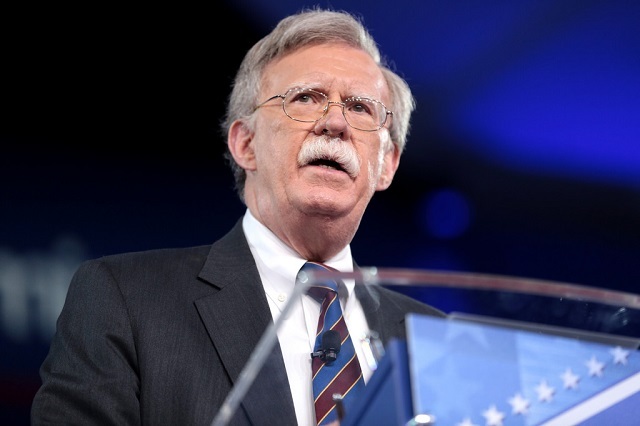 At one time a vacillating potential presidential candidate, the plainspoken yet curmudgeonly Bolton will become Trump's third chief national security aide in his 14-month presidency. 'I am pleased to announce that, effective 4/9/18, @AmbJohnBolton will be my new National Security Advisor,' the president tweeted. Trump had clashed with McMaster repeatedly in recent months, telling confidants that he considered the general a long-winded bore. I'd say meet the new boss same as the old boss, but I think Bolton could be even worse. The only silver lining I can see here is nearly everyone Trump hires is absolutely terrible yet he seems to ignore most of their advice.